This text is designed to meet the needs of the entire EI team in focusing on an array of issues related to enhancing overall communcation skills for children birth through 3 years of age. Readers, regardless of primary academic discipline, wil l quickly note that the information presented is highly clinical and reflects a deep respect for all professions involved in early intervention. 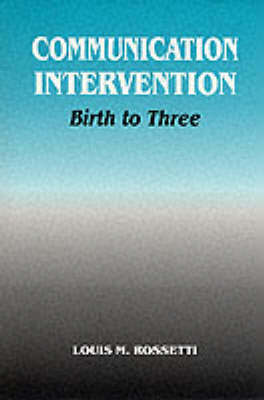 This text is designed to assist us in meeting the challenges inherent in providing communication intervention for children birth through 3 years of age.